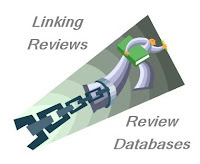 Weekend Cooking is open to anyone who has any kind of food-related post to share: Book (novel, nonfiction) reviews, cookbook reviews, movie reviews, recipes, random thoughts, gadgets, quotations, beer, wine, photographs. If your post is even vaguely foodie, feel free to grab the button and link up anytime over the weekend. You do not have to post on the weekend. Please link to your specific post, not your blog's home page. More information at the welcome post. I first fell in love with Japanese food when I lived in Hawaii a few decades ago. That's also where I quickly learned there was difference between what was commonly served in restaurants and what I ate at friends' houses. Restaurants (in those days) prided themselves on elaborate presentations, fancy techniques, and expensive ingredients. Friends, on the other hand, often made noodle dishes, pickled vegetables, or grilled meats, simply prepared, full of flavor, and informally served. But of course we were all in our 20s and were living on grants or teaching assistantships. In 1988, Nancy Singleton Hachisu, a Californian, moved to Japan "for the food but stayed for love." She met a Japanese farmer, accepted his marriage proposal, and now lives on an organic farm in a traditional Japanese farmhouse with him and their children. In Japanese Farm Food, Hachisu shares the story of her acclimation to her unexpected life, from discovering artisanal charcoal to watching shishimai (the lion dance), from her trips to the fishmonger to walking her fields, and from picking vegetables to working in the kitchen. Tucked between the recipes and the stunning photographs of Japan, the markets, the fields, and the food, Hachisu invites us to stop a moment to share some of these experiences with her. 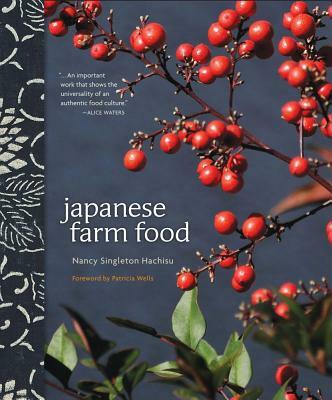 Japanese Farm Food, however, is more than a memoir; it is also a very accessible cookbook. But the cookbook part is a little deceptive. By that I mean, my first reaction was to love the book for the information, photos, and narrative, but I paid little attention to the recipes. It was only on the second look that I realized just how many dishes call to me. If you are unfamiliar with Japanese food and ingredients, you'll want to spend some time reading the early chapters, which cover the pantry, kitchen tools, and cooking techniques. Then turn to the back of the book, where you'll find a glossary, charts, resources, and more. Although Hachisu calls for some exotic-sounding items, like dried seaweed and chili-infused sesame oil, don't be put off. Even in my small town I can find most of these items at the supermarket and the rest at the health-food store. As always, my weak link is the seafood; we just don't have access. The chapters are arranged in a logical way from appetizers and soups to noodles, vegetables, and meats, ending with sweets. My favorite sections are those concentrating on noodles and rice, the vegetables, and meat. On the other hand the ice creams, cordials, and dipping sauces look pretty good too. Many of the recipes are very simple to make and call for just a few ingredients. 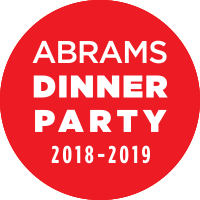 For example, Zucchini Coins with Roasted Sesame, Turnip Greens with Soy Sauce, and Foil-Wrapped Broiled Salmon with Butter all have short ingredient lists and easy directions. Most of the dishes are foods for everyday meals, such as simple soups and grilled meats. However, let me be clear that I'd serve anything in Japanese Farm Food to company; the food is visually appealing and full of flavor. For each recipe, Hachisu provides a personal story, the history of the recipe, or maybe a note about the ingredients. When appropriate, she offers variations, tips, storage information, and serving ideas. 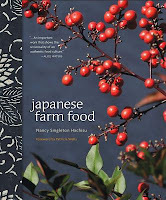 I recommend Nancy Singleton Hachisu's Japanese Farm Food to a large range of cooks and readers. The narrative text will appeal to anyone who likes memoir, travel writing, and/or food writing. Cooks interested in Japanese cooking, simple cooking, Asian flavors, and organic and farm-fresh foods won't want to miss this book. Finally, vegetarians will find many dishes perfect for their diet and others that can be easily tweaked without losing flavor. Vegans should look through the book before they buy; I'm less confident about how useful this book will be for them. For more about the author, follow her on Twitter or visit her website, where you can see some lovely photographs and check out her tour schedule. You can also find some recipes. There are quite a number of recipes from the book I'd like to try, but I think this simple stir-fry might be near the top of my list. Heat the oil over medium-high heat in a large frying pan. Add the peppers and cook until bright red. Turn the heat up to high and dump in the julienned celery. Toss several minutes over high heat, until the celery has lost its raw quality but still has a bit of crunch. Do not cook to the point where the celery is completely translucent. Throw in the soy sauce and toss for a couple of seconds to let the celery soak up the flavor. Serve in a medium-size bowl as a before dinner appetizer that stays on the table through the meal. Buy Japanese Farm Food at an Indie or at a bookstore near you. This link leads to an affiliate program. happily, we do have the seafood here! I am going to put this one on my wishlist. I love Japanese flavours and because you say there is plenty for vegetarians, I will just have to take a look! I bet Vance would love this book. He spent a summer in Japan and loved the food (and the people) there. I would love to get to visit Japan one day. Maybe through the pages of this book will be as close as I get! I am adding it to my list to take a look at. I like Japanese food but prefer eating out than making it at home. I never have the right ingredients and somehow I always end up doing something else. But this sounds like a good book to start esp. because you say a lot of the recipes don't need many ingredients. Japanese food is my favorite! And I didn't realize you had lived in Hawaii. This book sounds really nice -- I love memoirish cookbooks and enjoyed your thoughtful, detailed, tempting review. Thanks! Travel/memoir/food writing always appeals to me, but the addition of recipes makes this a must read! Thanks for bringing it to my attention. This sounds fascinating as a memoir as well as a cookbook. I don't think I've ever stir-fried celery, but that dish sounds delicious! I'm envious that you lived in Hawaii! This sounds like such an interesting combination- travel, memoir and food all in one book. It's a good way to read about another culture, thanks for sharing. I love memoirs that are also cookbooks. This one sounds wonderful. How wonderful, I requested Japanese Farm Food on Netgalley but got stuck in it. Love to find a nice -vegan- recipe from it on your blog! Now I regret not having pressed on... ;) But hey, I've got all the required ingredients at hand so maybe this dish willbe added to the menu this week! I can't wait to read this book - the one kind of memoir I don't mind is a food memoir. Thank you for sharing! Japanese food is not a cuisine I have tried to make at home. You show that the recipes do not have to be complicated. I'm eagerly awaiting this one from the library. I love cooking Japanese food and I hope to try several recipes from this one. I am not a great lover of celery but this looks good to me, especially as I am just starting to experiment with Asian cooking. What a different type of warm salad! 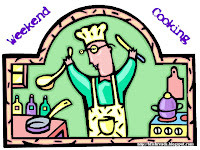 have just found your Weekend Cooking Posts through a friend from Tess Kincaid's blog ... what a cool idea! With recipes with so few ingredients, the vegetables have to be really fresh and full of flavor. I have to start cooking veggies the day I buy them! Thats an important update..:) Thanks. How interesting, to make such a change and then turn it into a lovely book. I don't really do Japanese food as I don't like fish very much, but I do like the flavors you mention. I did have some grilled meat in a Japanese restaurant once though and it was amazing, so maybe I should explore this cuisine. This sounds pretty good, and I'm not even a fan of celery! I don't cook a lot of japanese food, but this cookbook sounds wonderful--I may have to grab it and start adding it to the menu plan! My first time participating! And I know I am more than a little late - I will have to try to post earlier next weekend. I do enjoy reading these posts, so i am looking forward to participating. What a lovely cookbook, Beth, and one that I've been trying to find for quite some time. Most English Japanese cookbooks contain more elaborate dishes (or the same old things, like miso soup and sushi rolls), but I'd love to know more about homestyle cooking. And wow, it's even suitable for vegetarians :) Putting it on my wishlist straight away! How did I not know you lived in Hawaii?